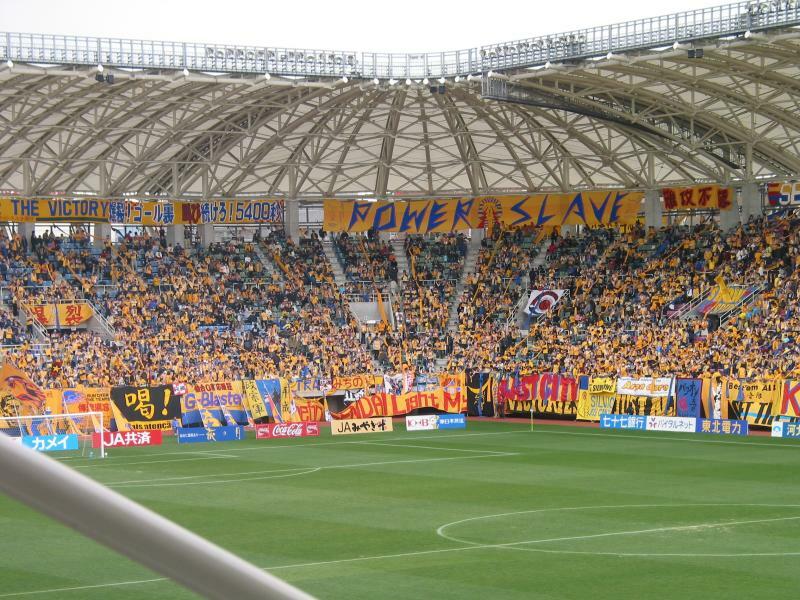 Donna Hollinger | all galleries >> Galleries >> SOCCER Match in Miyagi Stadium, Sendai > Powerslave! Soccer match in Sendai . Powerslave! Soccer match in Sendai . If you have time in Sendai go to a soccer match! It was one of the best times I had in Sendai, the crowd was fabulous. They were very geared up for one or the other team...who played their hearts out. The song we heard as we entered the Miyagi Stadium [49, 281 seats] was set to Elvis Presley's "Love Me Tender". I have a movie clip of it!